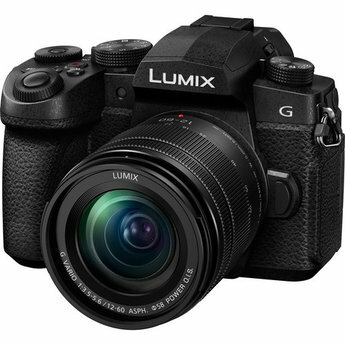 Comprising a versatile set of photo and video capabilities, the Lumix DC-G95 from Panasonic is a Micro Four Thirds mirrorless camera also characterized by its sleek and portable design. 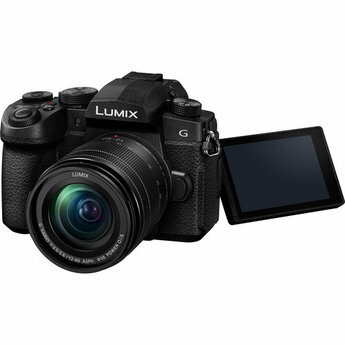 Comprising a versatile set of photo and video capabilities, the Lumix DC-G95 from Panasonic is a Micro Four Thirds mirrorless camera also characterized by its sleek and portable design. 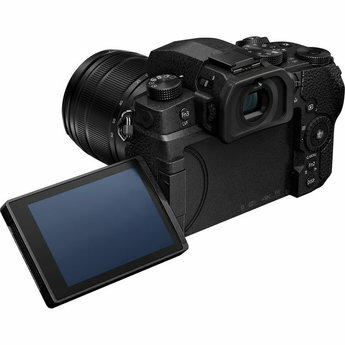 Featuring a 20.3MP Live MOS sensor and Venus Engine, high-resolution stills can be recorded with a wide sensitivity range of ISO 200-25600 and continuous shooting is supported at up to 9 fps with AF-S. UHD 4K video recording is also supported at 30p and pre-installed V-Log L enables a wider dynamic range of up to 12 stops for greater color grading control during post production. Also, 4:2:2 8-bit output is possible when recording externally via micro-HDMI and both headphone and microphone jacks support improved audio recording. 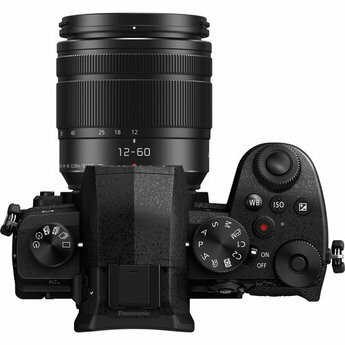 Additionally, complementing the imaging capabilities, a Dual I.S.2 system that offers the use of both in-camera and in-lens image stabilization systems to effectively minimize the appearance of camera shake by up to five stops. Benefitting the versatile photo and video capabilities is a compact form factor and a durable, weather-sealed design to suit working in inclement conditions. For eye-level viewing, a 0.74x-magnification OLED viewfinder is featured with a 2.36m-dot resolution for clear viewing. The rear 3.0" 1.24m-dot LCD incorporates a free-angle design to benefit working from high, low, and front-facing angles and it is also a touchscreen for intuitive operation. Additionally, built-in Wi-Fi and Bluetooth enable wireless remote camera control and image transferring to a mobile device. Supplementing the camera's stills capabilities is UHD 4K video recording at up to 30p with an 8-bit color depth and 4:2:0 sampling while recording internally. Alternatively, external recording is supported via micro-HDMI with 4:2:2 sampling and 8-bit color depth. V-Log L has been pre-installed on this camera and is used to capture a flat, neutral gamma curve well-suited for grading. Slow motion video is available with support for 120, 90, and 60 fps in Full HD resolution. Additionally, both a 3.5mm headphone jack and 3.5mm microphone input are available for improving audio capture. Helping to achieve the utmost sharpness when photographing handheld, Dual I.S. 2 combines the G95's 5-axis sensor-shift image stabilization technology with lens-based image stabilization to compensate for up to five stops of camera shake along with a broader range of movement types to render sharper, clearer imagery. Dual I.S. 2 requires the use of compatible Lumix lenses featuring O.I.S.